← We enjoyed being in the West Seattle Grand Parade! 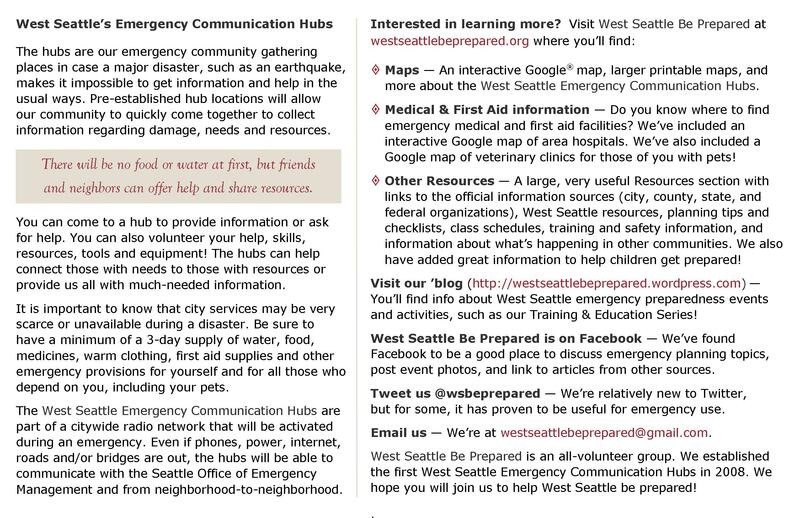 Need West Seattle emergency communication hub maps? If you’re on this website, chances are you’re familiar with the emergency communication hubs…and you may have seen the hub map posters in English and various other languages linked from the menu above. 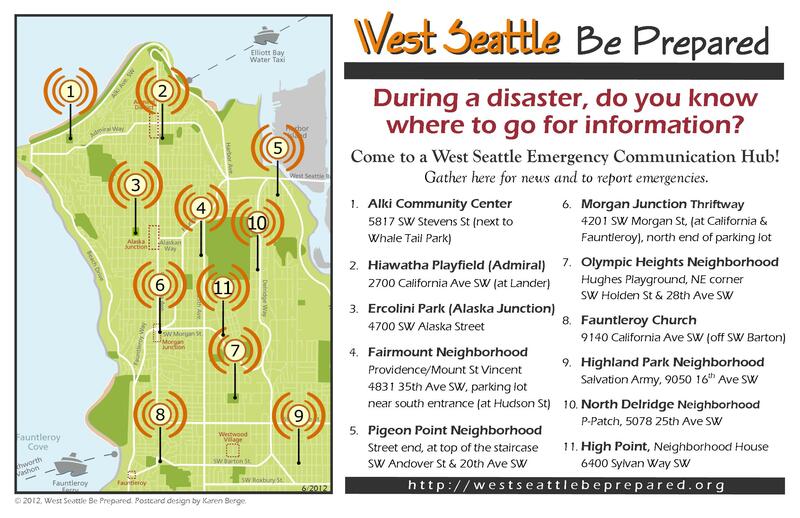 But, have you seen our revised West Seattle Be Prepared hub map postcards? These have detailed information about our group and the hubs, as well as maps of the hub locations. We distributed some recently at the Grand Parade and SummerFest and plan to hand them out at upcoming events as well. If you can’t wait until then, or want to print extra copies to keep in your vehicles or give out to family/friends/neighbors, we’ve posted a printable version below. WSBP postcard flyer 2012 (.pdf format) — This 2-page .pdf file prints at full size (8.5 x 11″), 2-sided, long edge binding; then can be cut apart to create 2 copies. Or, just print the first page of the file to create a single-sided 1-page flyer. This entry was posted in Earthquake Preparedness, Outreach events & festivals. Bookmark the permalink.